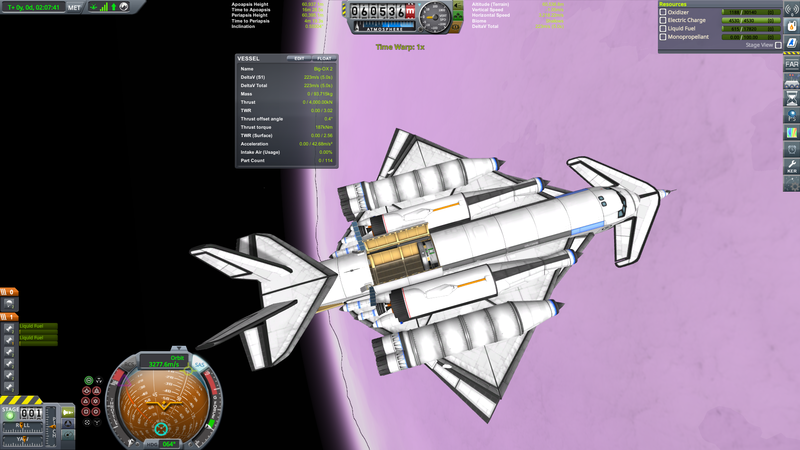 A prototype single-stage-to-Eve-orbit space plane for Alien Space Programs. Improved over first Big-OX by using more heat-resistant tanks, but still not tested with any cargo. 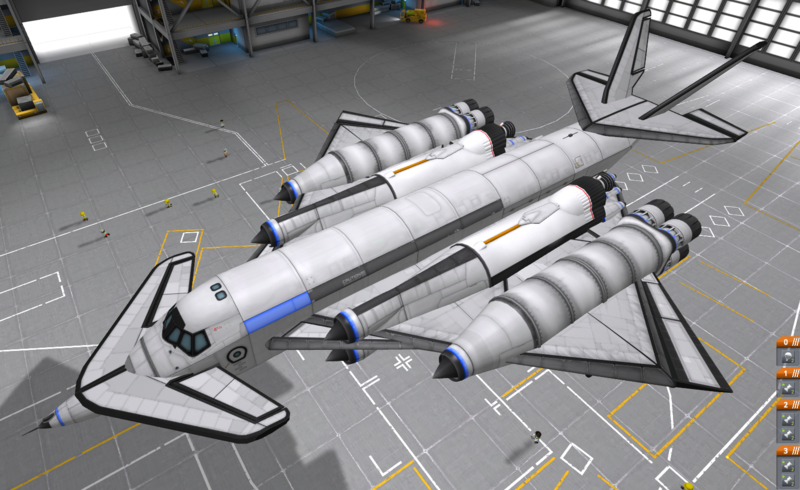 Designed for KSP 1.3.1. This v2.1 improvement over v2.0 adds two J-34 Zephyrus turbofan engines for a little more boost off the runway. It can take off on the turbofans alone, barely, which should help save on oxidizer. Stage the first set of JX-5 ramjets shortly after takeoff to begin your climb. Similar to the Big-OX, this craft fires its explodium-breathers in two stages to avoid too much thrust in Eve’s lower atmosphere. Climb to 10 km and begin your speed run there. Try to get to 1 km/s at 18-19 km up. Use flaps as needed. Stage the rockets and get out of the upper atmosphere as quickly and safely as you can. Returning is a little easier than the Big-OX but is still very challenging. Bring up the window for the flaps and change setting to minus 15 to minus 20. You’ll need the negative flaps to maintain an angle of attack of 10 to 15 degrees as the craft is somewhat tail-heavy when empty. Re-enter very gently and you should avoid overheating. Use air brakes sparingly, though they seem less prone to overheating now. Restore flaps setting to plus 15 once through the worst of the re-entry. Landing is very easy on Eve with its thick air as you can get stall speeds below 100 m/s. Drogues are very effective once touched down.